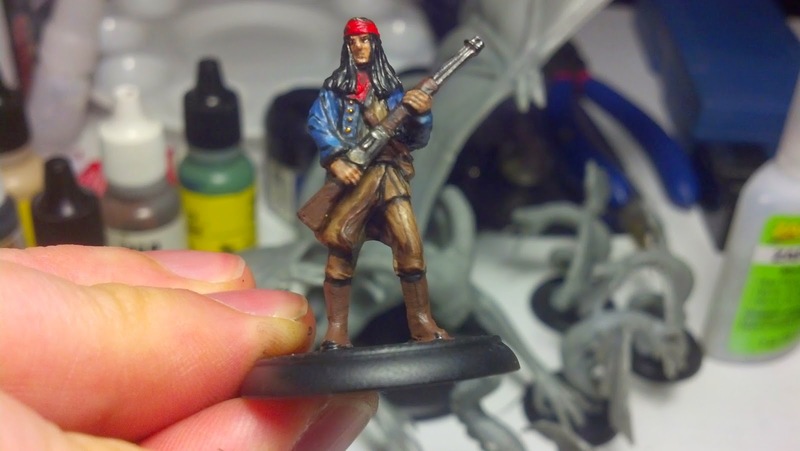 Sometimes I've gotten asked: "How do you paint your miniatures so quickly? I really need a lesson on painting miniatures, I don't even know where to start..." Well this series of posts aims to answer that question. I am going to lay out for all of you new to miniature painting (and to those who are still nervous about it) how to paint minis like a boss. A boss who gets things done, that is. They may not end up pageant-ready, they may not win contests, but they will be painted. And that's really the goal you should be shooting for. Simply get them done. If you find a passion beyond that then you will automatically search out guides on how to paint non-metallic metals (NMM) or other fancy painting techniques, but this guide is purely for getting all those minis sitting in your closet painted. So get out your notebooks, because here's everything you need to know to get started painting miniatures the Vorpal Chainsword way. The Vorpal Chainsword Way = You ain't enterin' no contests, so stop procrastinatin'. Just get them done already! In a new episode of the Vorpal Chainsword Podcast I spoke with the Master Cartographer of old-school gaming and the non-Gygaxian half of GP Adventures, Benoist Poire! I talk with Benoist about the Hobby Shop Dungeon, the old-school gaming style, and running great dungeon adventures regardless of system! A few weeks back I was fortunate enough to play in a Back to the Future-themed Shadows of Brimstone game. The adventure was called "Shadows of Hill Valley: 1885," and had the players being hired by the local Blacksmith (the mysterious Emmett Brown) to clear out the mines where he had hidden one of his "inventions." Hans, the game host, brought props for the table and whiskey for the players. Along with our extended Brimstone theme music all the props really brought forth the Old West theme. In this post I put up some highlight pics from the game, to help understand the glory that evolves from a bunch of middle-aged men pretending to be cowboys. No big deal, just buying dynamite and whiskey in Old West Hill Valley. Sometimes you really get burned on a Kickstarter. Either the video game never materializes beyond a garbage "Early Access" release and then the developer disappears, or the promised publishing of a new edition of an old-school RPG gets to be almost two years overdue from when it was promised (August 2013, if you're wondering). 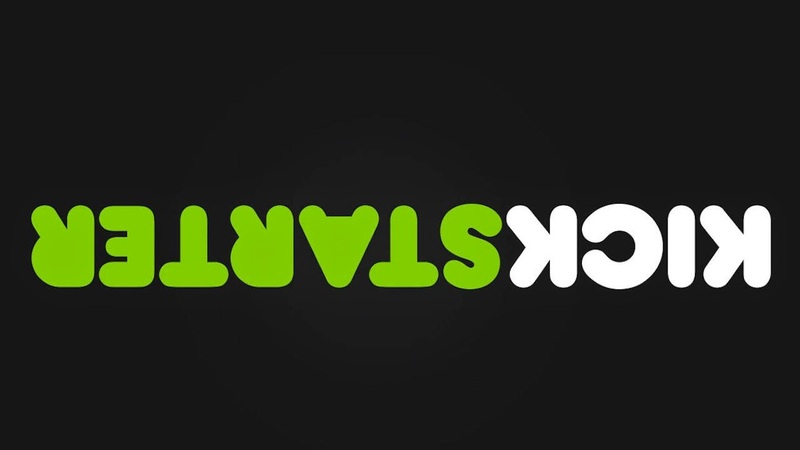 Those situations make one question the validity of supporting Kickstarters, and are a good lesson in taking a step back from a Kickstarter project before donating, and re-evaluating whether you really believe the people will do the things they promise they will do if they get the funding they ask for on Kickstarter. But then there are times when you support a Kickstarter and the creators not only bring their best game, they blow it up and send it into the stratosphere! 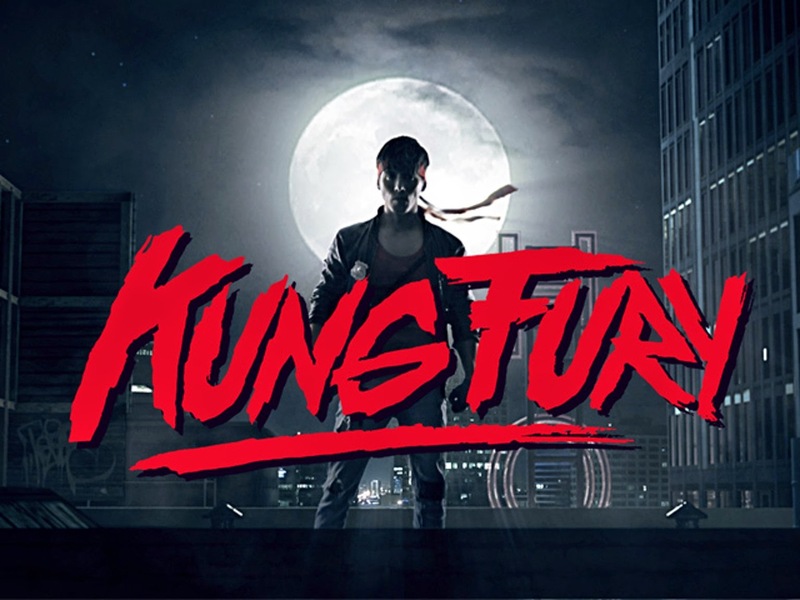 Such is the case with the Kung Fury Kickstarter (by Laser Unicorns). An upcoming indie film about a 1980's Renegade Cop (and Karate Master) who hacks his way through time in an effort to kill Hitler (available on Youtube May 28th!). TableTopDay 2015 - Fireball Island! Some clips have come trickling into the Vorpal Chainsword Inbox for an upcoming video series. Where beautiful actresses re-enact portions of our podcast interviews in front of the camera. For Science. So today I worked through the annual nightmare that most dreaded event of our cushy modern lives, calculating Taxes. Now, for most of the year, I'm a pretty laid back guy. Willing to go with the flow. 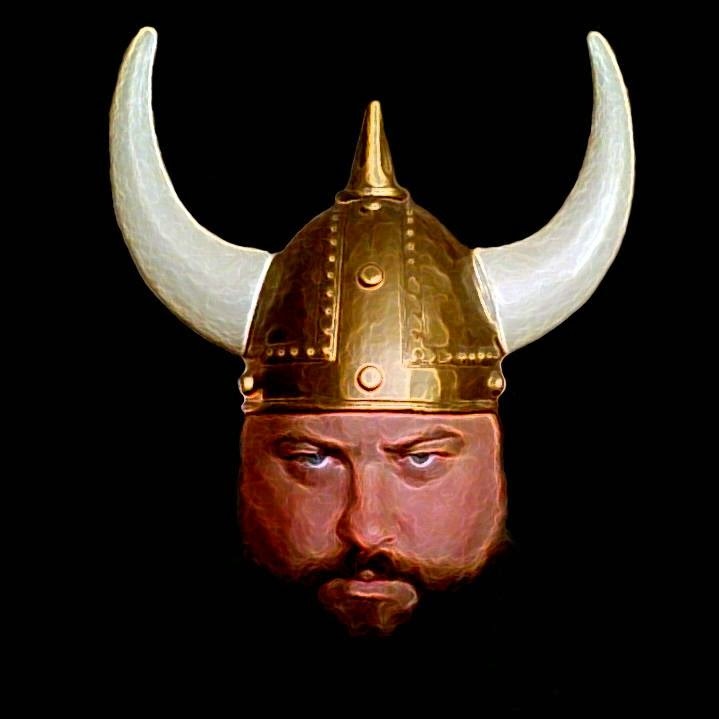 But on tax day I feel like a crazy-eyed, long-bearded Libertarian survivalist who lives deep in the woods, sitting in his a fortified cabin on a pile of hoarded gold, and ranting about the overbearing government and their jack-booted reptilian tax-collectors. Some days you just want to go full Swanson. 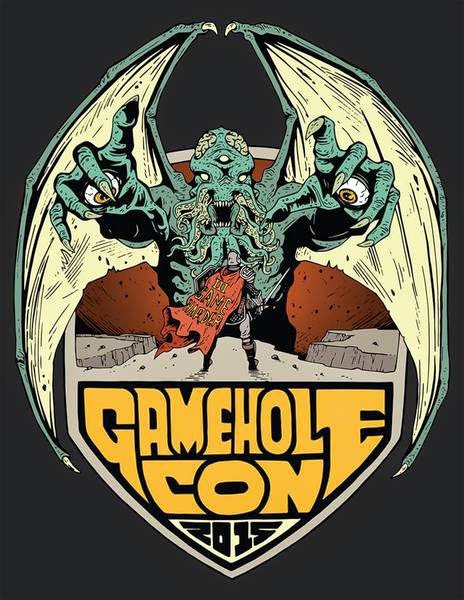 GameHole Con 2015 Event Submission Now Open! I don't know if I stress this enough, but GameHole Con in Madison is a Con that you want to attend. There are a lot of good reasons, and one of them is I run my games there, and event submission just opened today! This year I'll be running a new 1980's-nostalgic Time-Travel Adventure I've cooked up. We played it at ScanCon 2015 and it was a blast, so with time to polish it up even more before GameHole Con in November its going to knock some socks off. Event Name: Back to the Future RPG: OUTATIME! Another Delorean just appeared in the driveway! Rushing outside, Marty discovers that the Delorean is empty, without anyone inside. "Oh no!" Marty realizes, "Doc must be in trouble!" A cross-genre Time-Traveling RPG Adventure using the 5th edition Dungeons and Dragons Ruleset. Pregenerated characters will be provided, and a nostalgic love for 1980s-1990's time-traveling movies and TV shows is recommended. So if 1980's-style cheesball time-travel is your thing, I recommend you give this event a look-see. I guarantee you will not expect what's coming next.